Panoramic cityscape view of Washington Water Power building and the Monroe Street Bridge along the Spokane river, in Spokane, Washington. 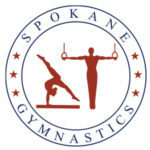 The Spokane Sports Commission is proud to welcome gymnastics athletes, coaches, officials, and fans to Spokane, Washington for the 2019 USA Gymnastics Women’s Level 9 Western Championships. Spokane prides itself in being a great destination for athletes—with a safe, vibrant downtown, quality venues, award-winning hotels as well as unique dining, shopping and entertainment options. We hope you enjoy your trip. Explore Spokane. A popular venue for national sports events, the Spokane Convention Center campus sits on the banks of the Spokane River located in the heart of downtown, walking distance to many hotels, restaurants and more. Paid parking is attached to venue. Spectator Tickets can be purchased upon entrance to the Spokane Convention Center. *There is no charge for athletes attending sessions and NOT competing. Please show credentials at admissions and remain in spectator area. Let’s kick off the competition in style at a fun-filled welcome event—taking place at the historic Looff Carrousel, overlooking the Spokane River. Join us for local food and treats as well as wine and beer tasting for the adults. As the sun sets, the party will ramp up with a DJ spinning the hits, carrousel rides and lots of laughs. Early-Bird: $48 | After April 30: $55 | Purchase tickets online. Spokane is a sports town, meaning our wide range of hotels are all about athlete experience. Beautiful, comfortable facilities, delicious food, affordable rates, and friendly professional staff are just a few of the things visitors frequently mention. We’ve teamed with several hotels to provide special rates and experiences for USA Gymnastics athletes. Book hotel. 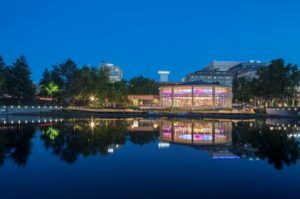 Downtown Spokane and the Spokane Convention Center are located a quick 10-minute drive from the Spokane International Airport (GEG). Taxi, Uber/Lyft, and rental cars are available. BLP Studios is proud to be the official photographers for the 2019 USAG Level 9 Western National Gymnastics Championships. We pride ourselves in capturing the action on all four events and the moments in between. Since we are on the floor (behind the ropes) we get the angles you can’t from the stands. We are so close that we also capture those moments between your gymnast and their coach and teammates. 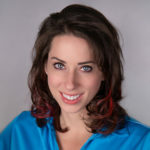 We do not photograph everyone, just the gymnasts that sign up ahead of time. This system allows us the opportunity to concentrate on the specific gymnasts and their moments. Click here for information and to preorder online.